Skeel is urging survivors of domestic abuse to speak out. A WOMAN HAS been prosecuted for the first time under the UK’s new domestic violence rules after leaving her partner “10 days away from death”. 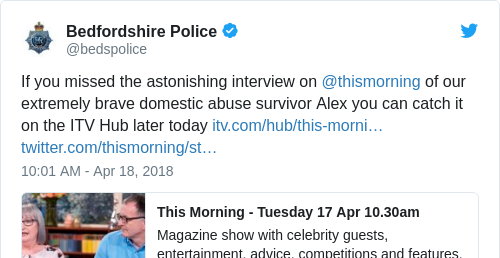 Alex Skeel, 22, has urged victims in abusive relationships to speak out after he was abused by his girlfriend, Jordan Worth. Worth was sentenced to seven and a half years in jail after pleading guilty to grievous body harm and coercive controlling behaviour. She is to be the first woman convicted under domestic abuse laws introduced in 2015. Now that coercive control is considered an offence, the police can prosecute those who are guilty of psychological and emotional abuse, and not just physical abuse. As well as subjecting Skeel to multiple physical injuries, including stabbing and third-degree burns, she denied him food and kept him from his family, the court heard. Skeel said he was told by the hospital that he was “10 days from death” and the court heard that Worth had thrown boiling water over him. The hospital told me I was 10 days away from death. I believe the reason I survived to tell my story is to help others going through a similar ordeal. Worth prevented him from speaking with his family and friends, making him sleep on the floor and threatening to run over and kill him if he escaped from their shared home. A neighbour called the police in June 2017 after overhearing shouts coming from the home. Steel was taken to hospital with burns to his arms and legs, wrapped with clingfilm in an attempt to treat them. A police officer convinced him to tell the truth, and to admit that his injuries were not self inflicted. I would urge anyone in the same situation to ask for help. Bedfordshire Police were fantastic and I do believe they saved my life. The pair first met when they were 16. Skeel has since moved back home with his parents and had several operations on his brain, head and hands. A restraining order now prevents Worth from contacting Skeel for an indefinite period. Detective Chief Inspector Jerry Waite said: “We are thrilled with this conviction. The sentence handed down reflects the gravity with which these offences are viewed. Coercive control is subtle – it isn’t always obvious what’s been happening and may escalate over a period of time. The victim may not immediately recognise the behaviour as abuse. The desire to control often underpins abusive relationships and can lead to violence. 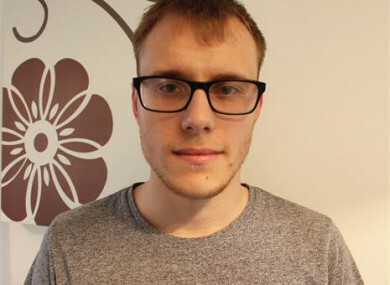 Befordshire police have since called Skeel “extremely brave,” encouraging people to watch interviews with Skeel on UK television. Email “First woman convicted under UK's new domestic violence laws after leaving partner '10 days from death'”. Feedback on “First woman convicted under UK's new domestic violence laws after leaving partner '10 days from death'”.